It’s the time of year when many people are taking care of their tax obligations. This will be the last year for doing your taxes before the new rules of the Tax Cuts and Jobs Act passed in late 2017 will take effect. That means next year will be a whole different situation for lots of retirees and those preparing for retirement. While those in and out of Washington have been discussing tax reform for decades, this is the first major change that we’ve seen on this scale. Just like everything else in your retirement plan, preparation is the key. So, let’s take a look at some of the top changes you’ll see with the tax laws and what you need to prepare for. Itemizing on a tax return can make sense for retirees with a high level of deductions and has been a common practice for some time. The standard deduction used to be $6,350 for single tax filers and $12,700 for joint filers, those numbers have virtually doubled for the new tax law. Now, the standard deduction stands at $12,000 for single filers and $24,000 for those filing joint returns. This means that for it to make sense to itemize, your deductible expenses will need to exceed these figures. Of course, there’s nothing wrong with taking the standard deduction. If anything, it might make the tax filing process easier and less costly. Still, it’s a change to be aware of. Consider converting your traditional IRA to a Roth IRA. Roth IRAs provide the ultimate benefit in retirement — tax-free income. You can’t deduct your contributions to a Roth IRA, but the investment returns in the account are tax-free and so are account withdrawals (optional-not required) as long as you make them after age 59½. One major consideration of the new tax bill: The option to undo a conversion by the tax-return date of the following year was taken away. If the market has a big downturn, you will owe tax on the full amount at conversion even if the account value drops by 30 percent before year-end. Some tax advisors suggest waiting until after Thanksgiving to make a conversion. Taxpayers could also consider converting smaller amounts over several years to reduce taxable income and potentially their marginal rates. Deductions for mortgage interest rates were left untouched except on new purchases where there is a cap at $750,000 for married filers, and a cap of $10,000 in state and local taxes (including property taxes). That means income tax-free states will provide even more advantages for retirees. Retirees are more easily able to move from state to state because they have no job tying them down, which also means they can be more sensitive to the various income tax rates in various states. There are a few states that soar above the rest for tax-friendly states best for retirees, such as Nevada, New Mexico and Wyoming. 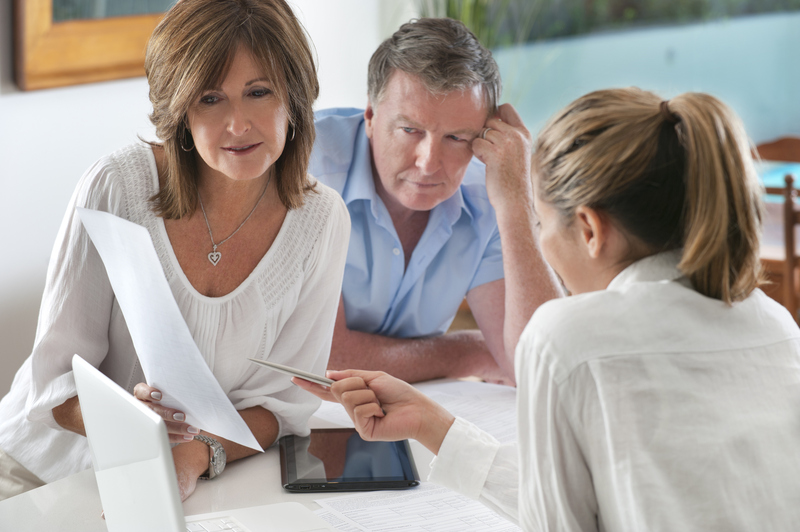 These are just a few of the changes that will come with the new tax laws and retirees would do well to consider reevaluating how it impacts your overall financial plan. Each area of your financial plan must be carefully considered to make sure you have a balanced plan. At Strategic Retirement Plans, we thrive on helping our clients understand the complete financial planning process and developing a plan for each, including a plan for dealing with your taxes. Give us a call today and let us help you develop a complete plan for you!